Here’s a fun new recipe for keto-friendly pigs in a blanket. 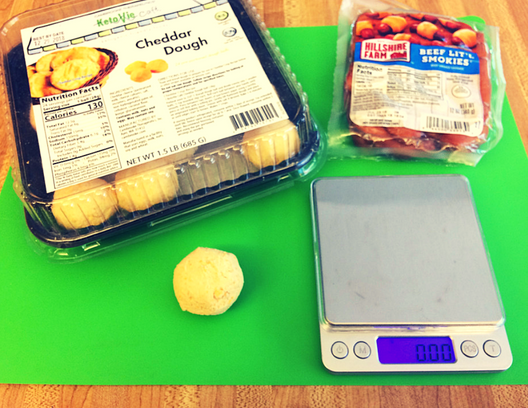 Defrost a ball of Cheddar Dough at room temperature. Preheat your oven to 350°F, you could also use a toaster oven as pictured. Cut the cheddar dough into 4 equal pieces (7g each). 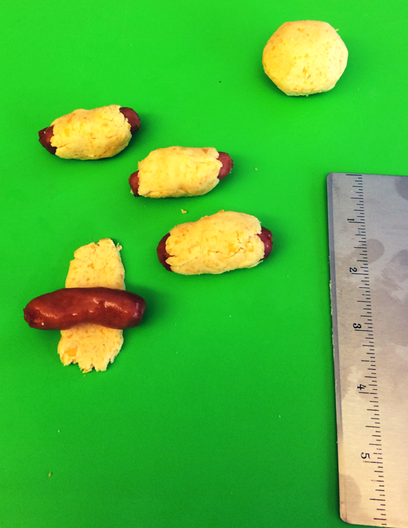 Form the dough pieces into a flat rectangle long enough to wrap around a cocktail sausage. Cup your hand to help mold the dough around the sausages. Spray a cookie sheet and evenly space pigs. Cook for 12 -15 minutes or until golden brown on top. Measure 1 cup (240 grams) mayonnaise. 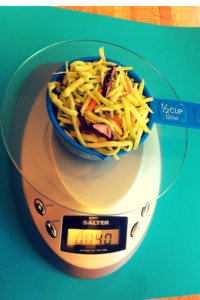 Measure ½ cup (40 grams) Broccoli slaw vegetables. Add 2 Tbsps. 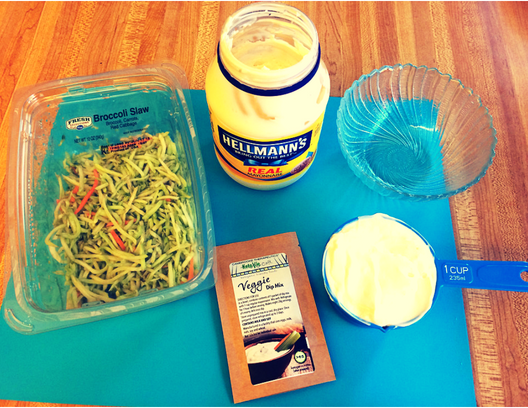 (23 grams) prepared veggie dip to the broccoli slaw and place on plate. Place any remaining dip in the fridge to use later in the week on vegetables, or as a dressing on a salad. 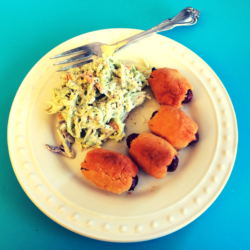 Arrange the cooked cheddar pigs around the broccoli slaw and chow down.